Join us as FCSP begins its ascension from the basement of Bundesliga 2 with a match against Fortuna Düsseldorf. We’ll be on the rooftop patio at Scallywags Bar at 6p.m. New members always welcome. 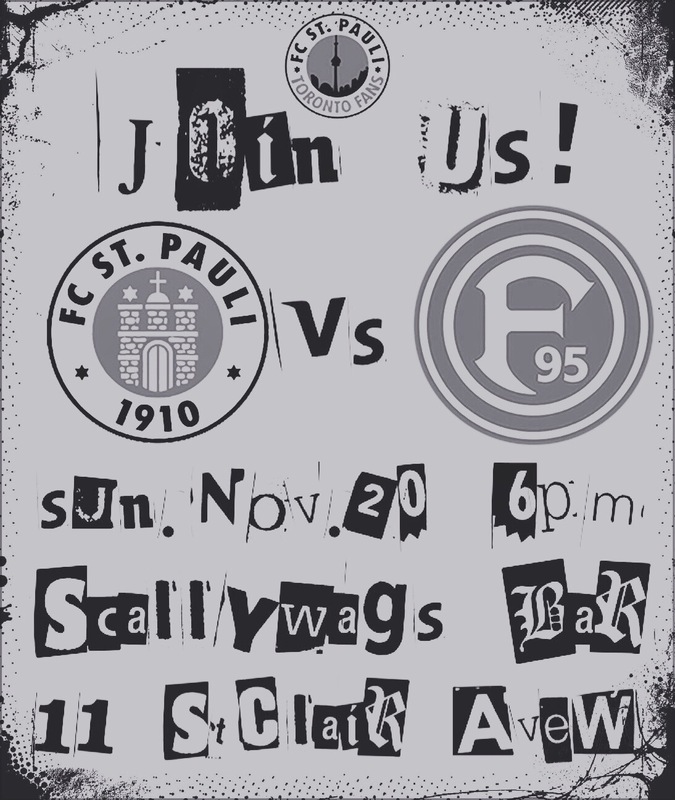 FCSP Toronto Ts and stickers to be had. You can also purchase our swag online at FCSP Toronto Swag Shop. See you on Sunday!